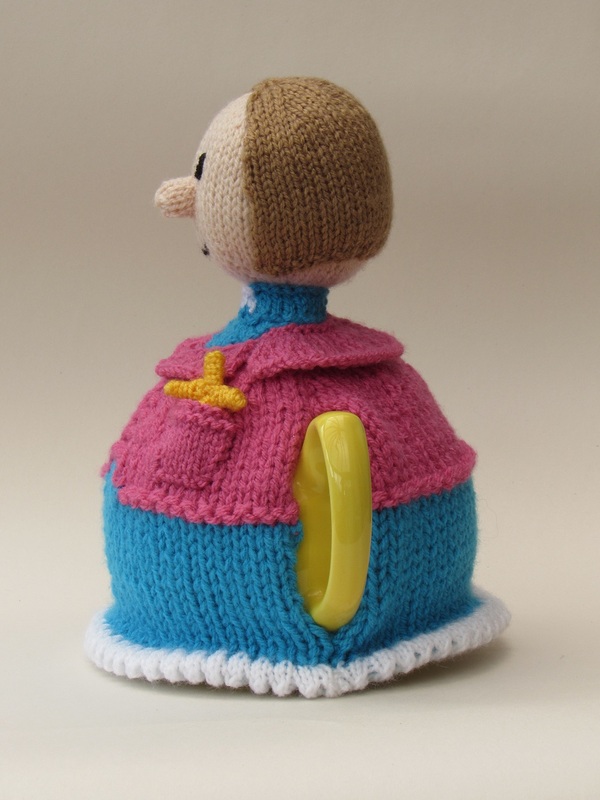 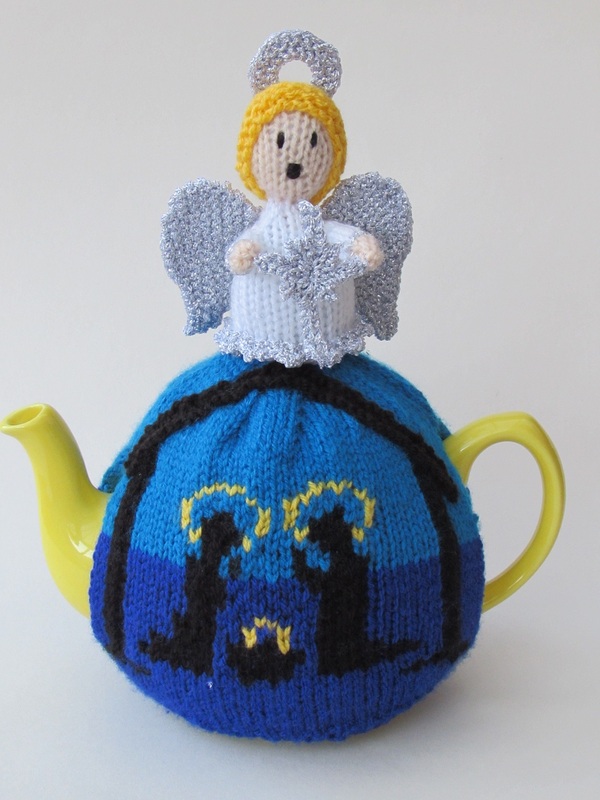 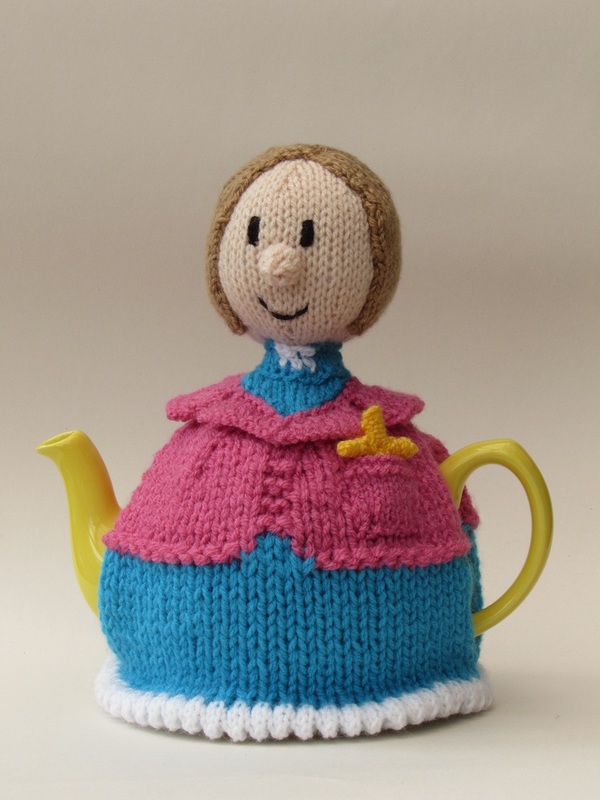 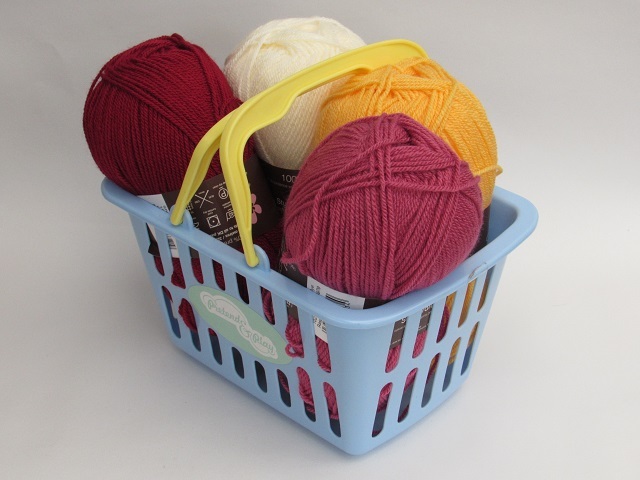 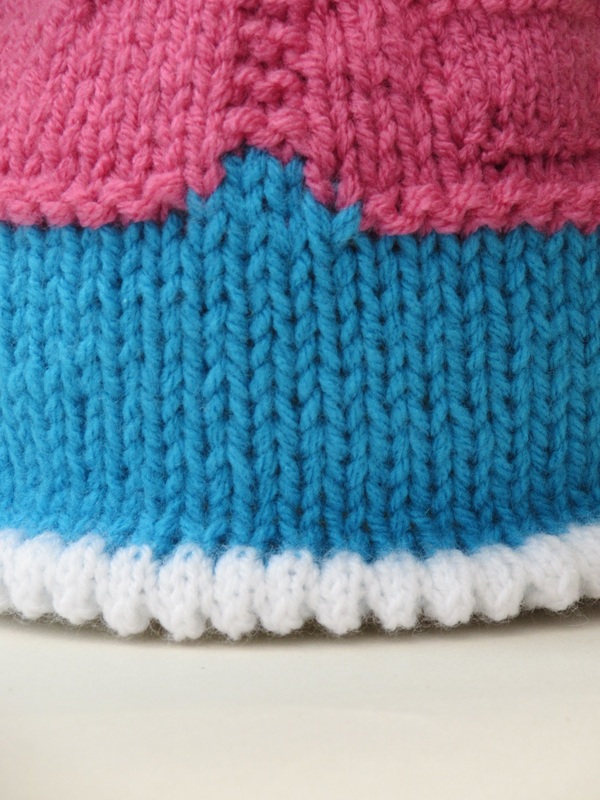 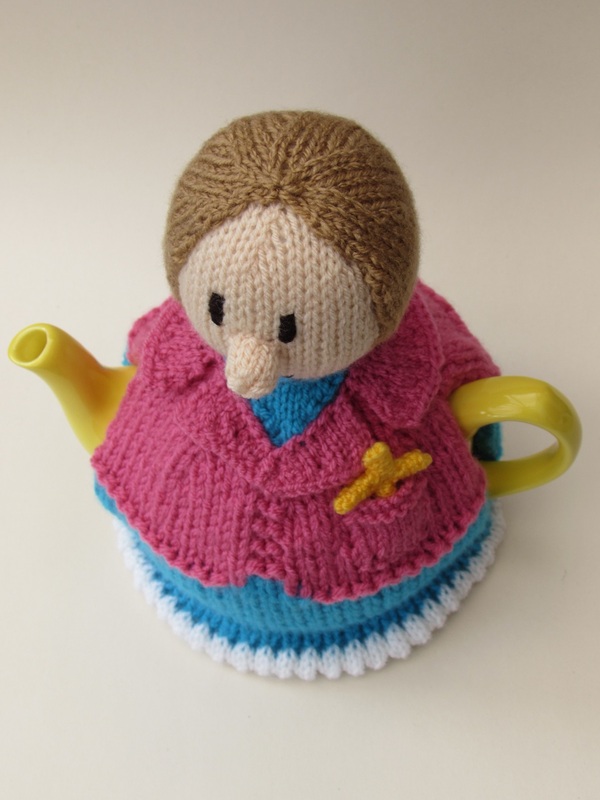 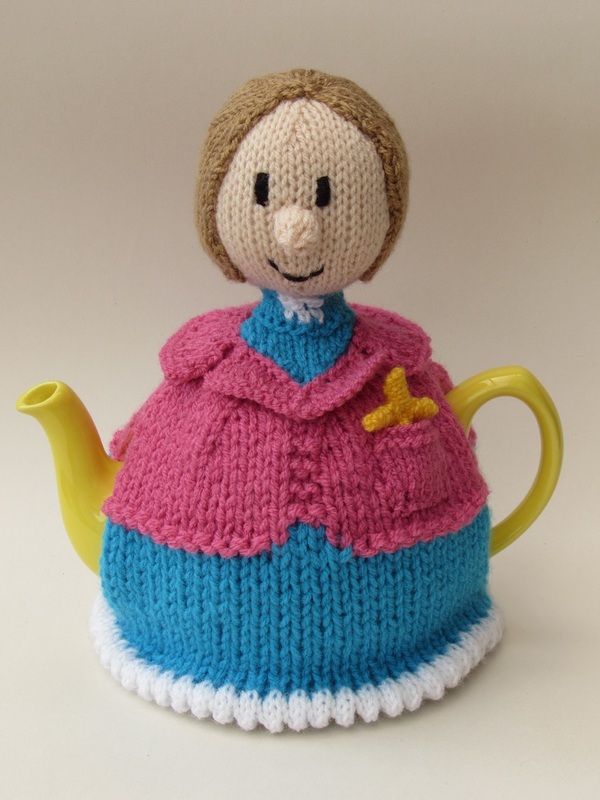 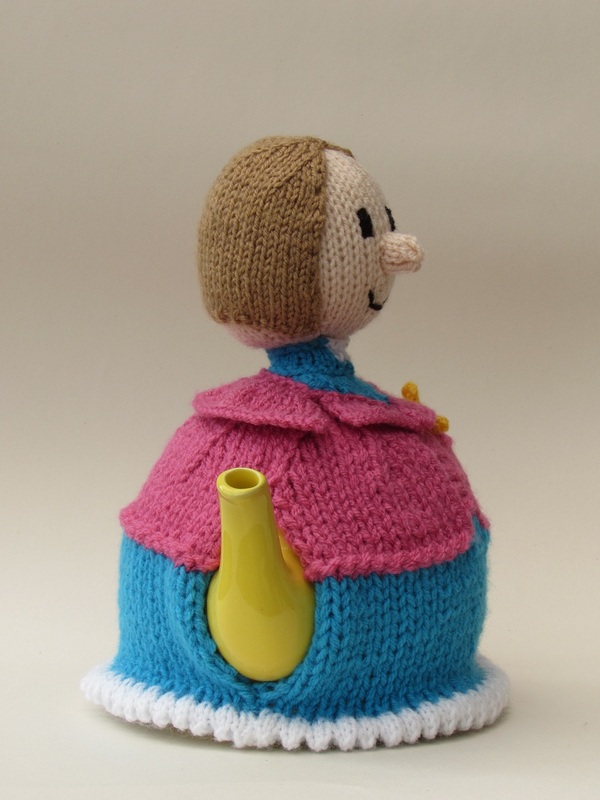 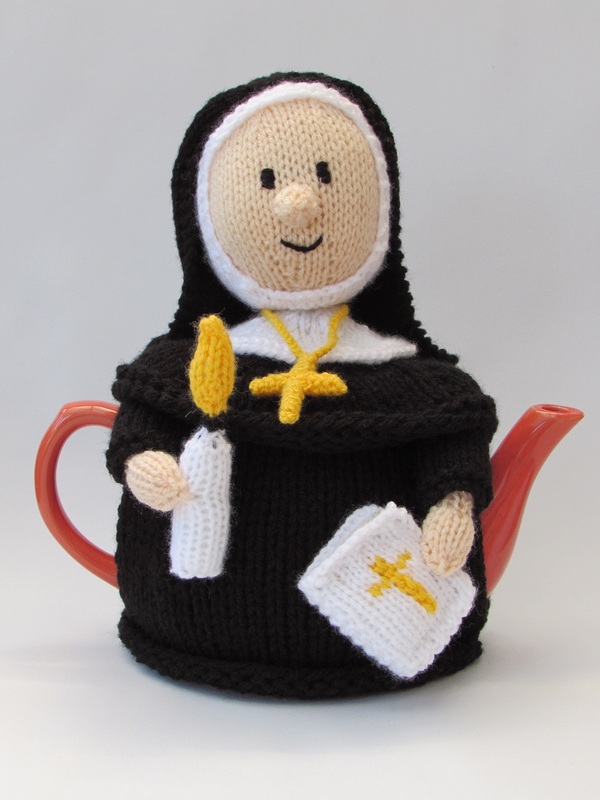 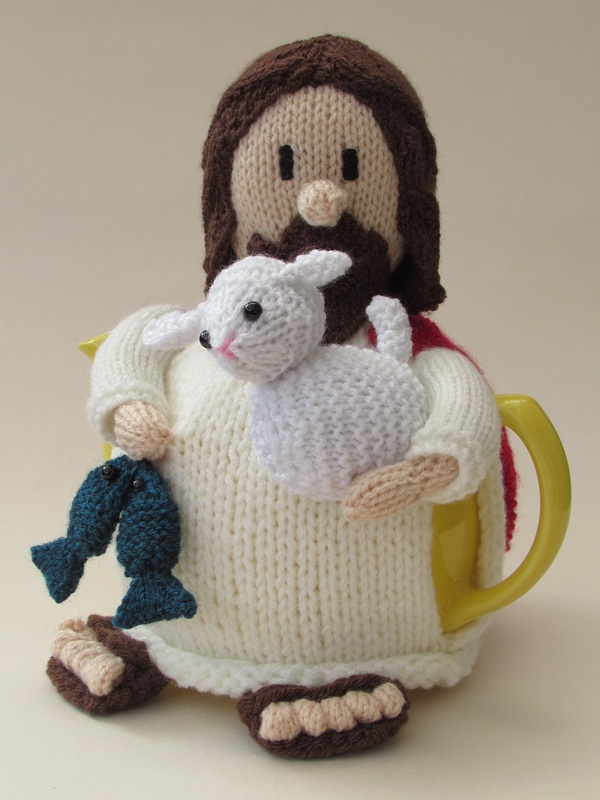 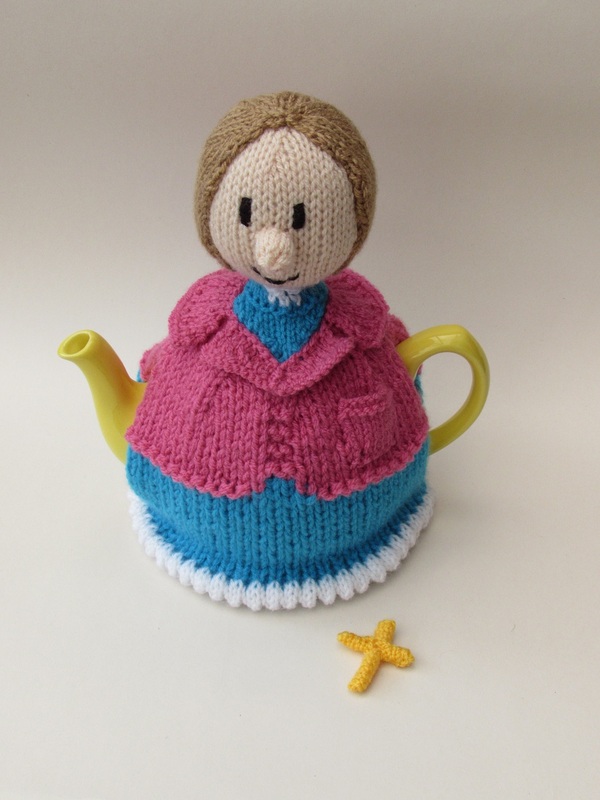 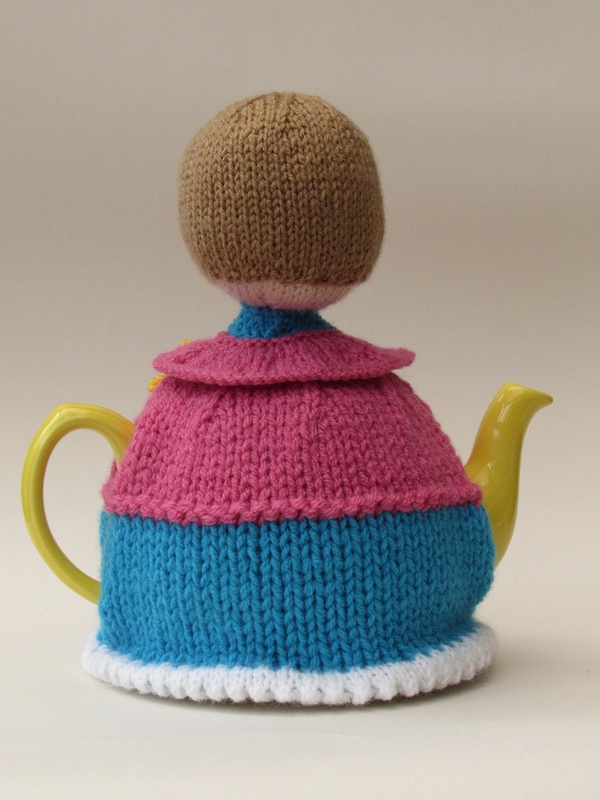 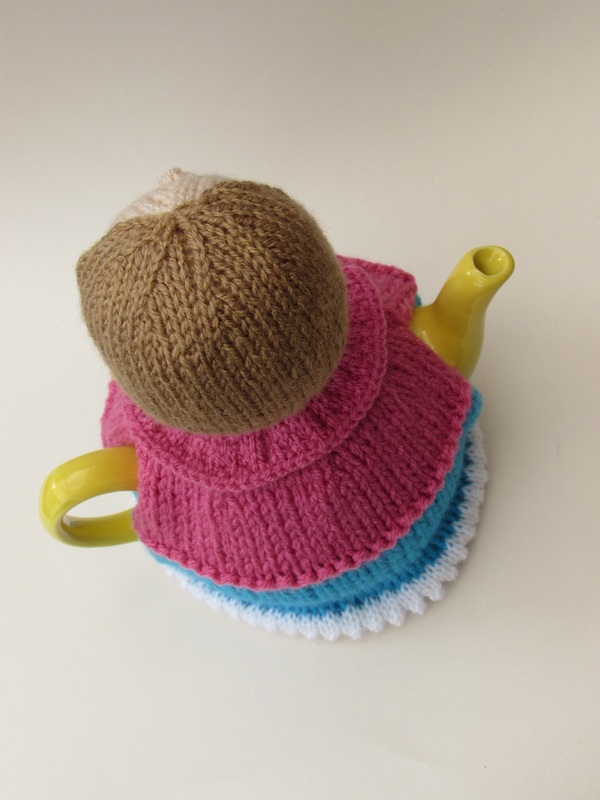 We have had a few enquiries about the bespoke lady vicar, it seems that the female clergy is very popular with tea drinkers, so we have brought out the lady vicar tea cosy knitting pattern. 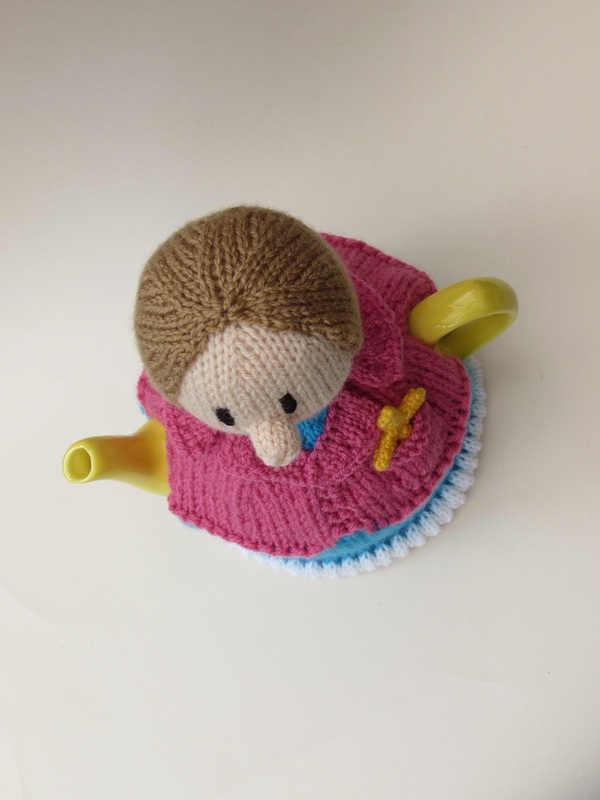 The female vicar is dressed very smartly in a dress and jacket, and she keeps her all important Crucifix in her pocket. 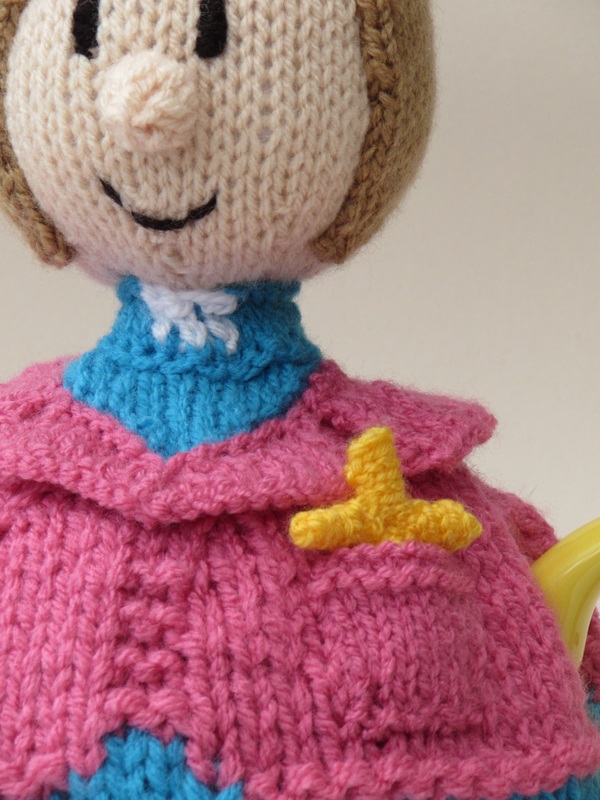 Her hair is a short simple bob and she wears a vicars dog collar. 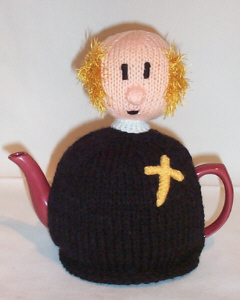 God Bless this brew and keep it hot - Amen!